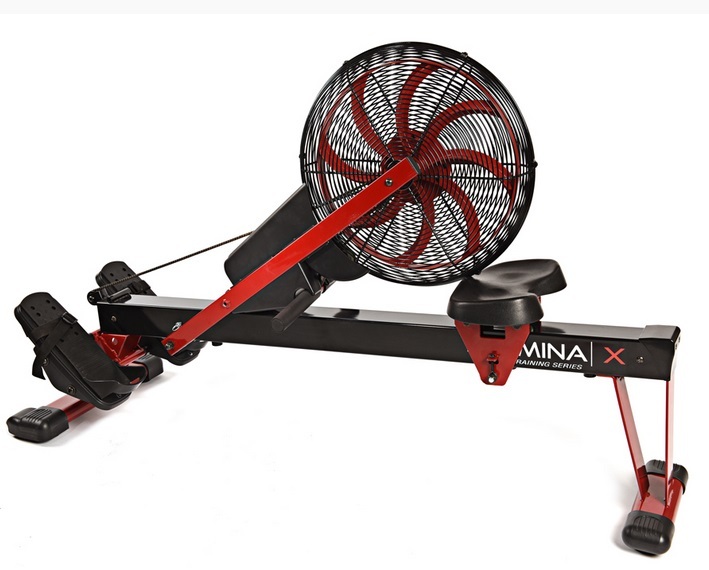 You can't take you eyes off the rowing machine product list for five minutes without Stamina launching another model! I think this must be the eleventh model of this brand we've tested. And hats off to them for plugging away at the budget to mid-price range end of the market to bring some much-needed choice. So what's new? Well, parts of the Stamina X Air Rower bolted onto the same frame as their 35-1405 ATS. But if this sounds disrespectful, we don't mean to be. The ATS is a reasonably good low-cost model, but we feel the few changes made in the guise of the X Air Rower have made a big difference. These are the addition of a better display/ monitor (see below), and an improvement on the footrests. Add a lick or red paint to the trim and you've got a pretty good rower for under $400. 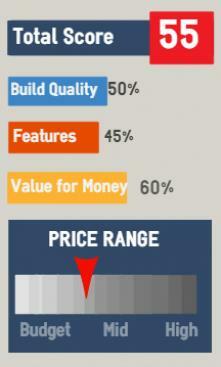 Let's start with what could be the biggest problem for potential buyers - putting the thing together. Be warned, it can take an hour and there are many parts! So if you're not too clever when it comes to manual tasks, get some who is to help. Also, check the positioning of the chain when assembling - we've had two people comment (plus a reviewer on Amazon) say it's possible to fix the chain but miss the sprocket! But once you're over this hurdle it has quite a good rowing position for a budget model. 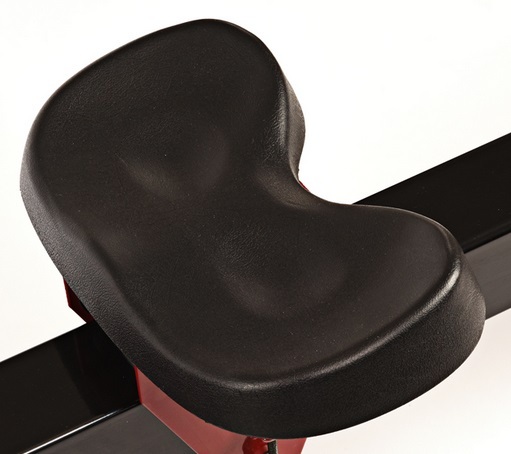 The seat is comfortable and sits at a reasonable height on the sturdy rail. 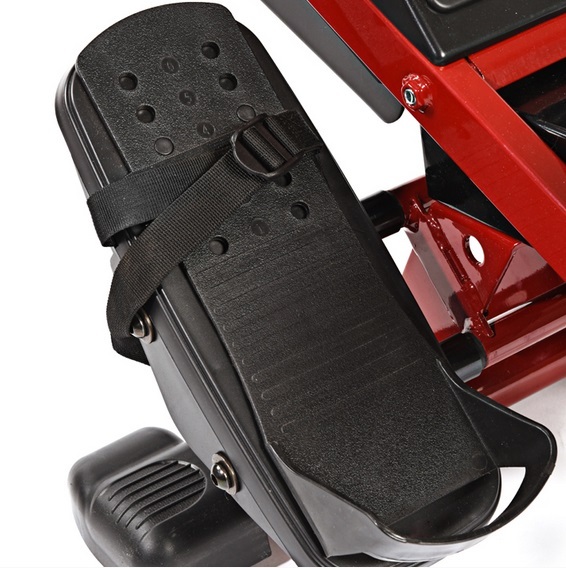 And the foot rests are better than it's predecessor being wider, and having more fixings to get a secure footing. So first impressions once ready to row are good. But remember, this uses air for the resistance mechanism which means it's noisy (quite noisy in fact), much more so than a magnetic or air/ magnetic combo. If you'll be using it in a garage, home gym, or you don't have neighbors to worry about then this isn't a problem. But if you want to watch TV and listen to the radio it could be. Some actually like the noise as they feel it adds to the feel of a good workout. The whirl of the air fins as you pull back hard on the handle confirm you're working those muscles! This has more functions than the monitor on the 34-1405 ATS. 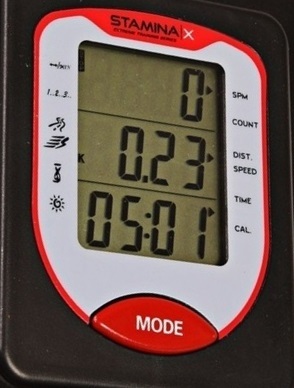 It's good-sized LCD screen displays strokes per minute, stroke count, distance, speed (mph), calories and total time. These are accumulated totals and can be reset by pressing the 'MODE' button for five seconds. 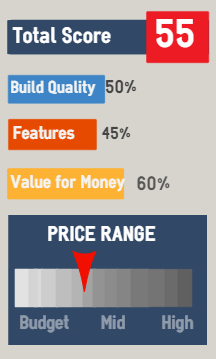 As with all machines in the price bracket, the readouts are not 100% accurate but will be close enough for comparing your workouts - but note there is no function to store your session. The display automatically shuts off after four minutes of inactivity to save the batteries. 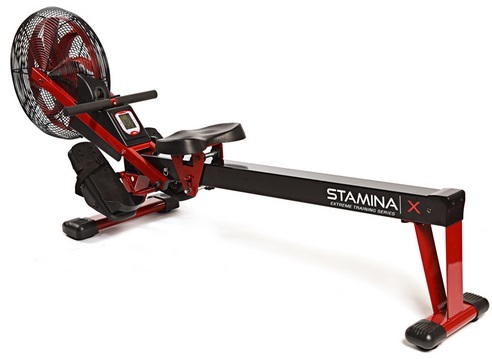 For around $400 the Stamina X offers a sturdy rower that looks like it can take some punishment. Many budget rowers, especially hydraulic models, are liable to breakage with heavy use, but the durable material used here means it can potential take a lot more. Our only beef is the short ninety-day warranty on the parts. 78" x 19.75" x 31.5"
If noise isn't an issue for you, the Stamina X is a good buy for the price. If you need something quieter and a machine that you can use for more than just a short workout, you can pay a little extras for the magnetic LifeSpan RW1000, or for a similar price check oot the air/ magnetic combo Sunny SF-RW5623.